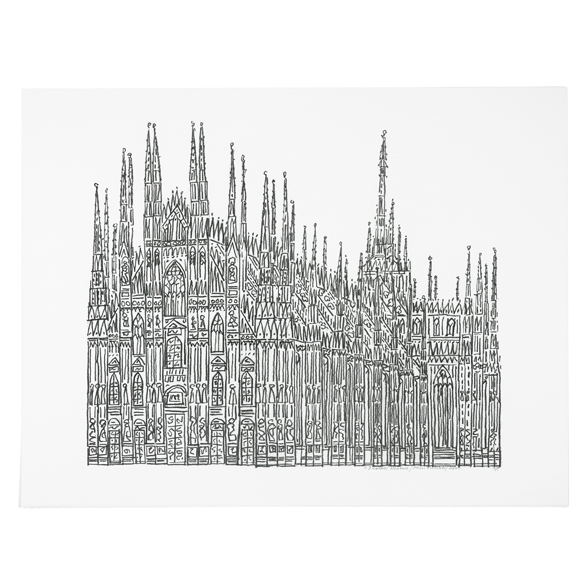 The Duomo in Milan is one of the most extravagantly decorated cathedrals in Europe. This drawing endeavours to capture that exuberance without getting trapped in the details. This limited edition print was produced as a corporate gift.